With how many Google product leaks we're seeing ahead of the company's October 9 Made by Google event, one could almost feel bad for the tech giant - it's clear that its employees are having a tough time keeping a lid on the many, many Pixel 3 and Pixel 3 XL leaks. Unfortunately, those problems may have just gotten even worse; Google's leaks aren't restricted to its upcoming smartphone. 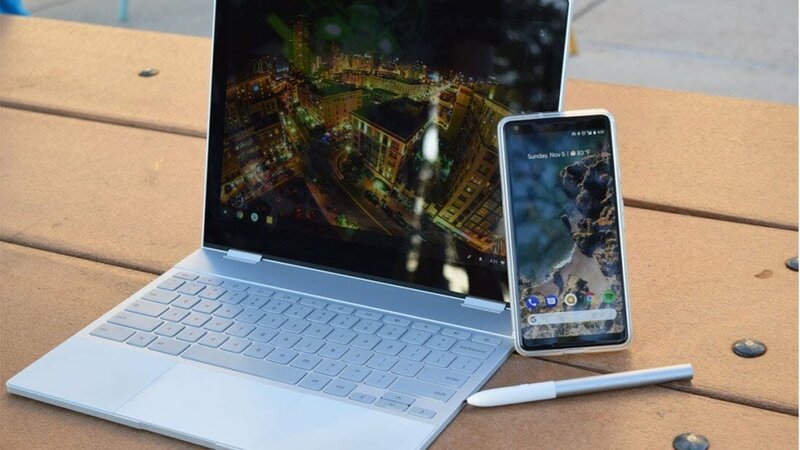 New information has hit the web that reveals what appears to be two new Google laptops, one of which is probably the next Pixelbook. For the unaware, the first Pixelbook was a productivity-focused 2-in-1 running on the ChromeOS operating system. 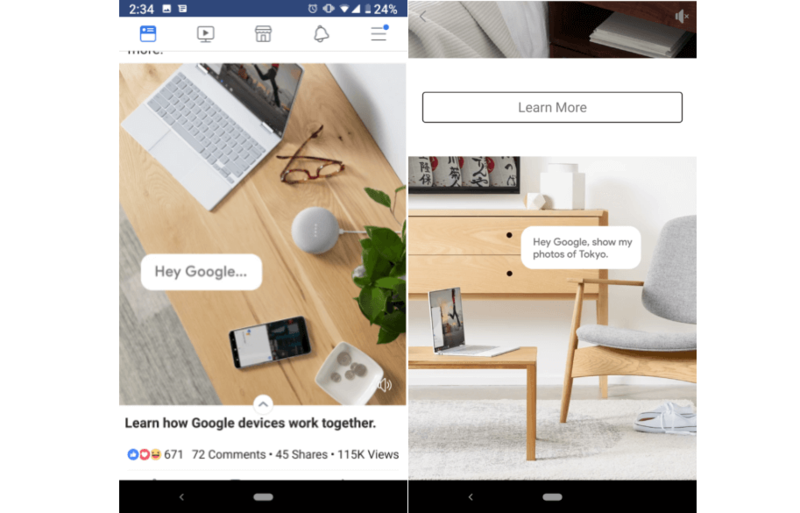 For the most part, Pixelbook users are restricted to using Google's app ecosystem, and whatever software they can obtain via the Google Play Store. At any rate, as reported by Chrome Unboxed, a leaked clip pulled from Google's Chromium Bug Tracker shows a new device that is clearly running ChromeOS. The notebook houses rounded keys and the Pixelbook's iconic "hamburger" menu button. Furthermore, though it's tough to make out in the video, the screen does seem to be detachable. If I were to speculate, I'd say the white-and-gray device seen in the ads above is the next iteration of the Pixelbook, while the all-black laptop is a different product entirely. Perhaps the latter -- assuming it does indeed have a detachable screen -- is Google's answer to Microsoft's Surface laptop line-up? As fun as it is to speculate about these mysterious notebooks, the truth is, nobody can really make heads or tails of these leaks right now. However, a lot of the questions we have will likely be answered at the Made by Google event next month. Twice as fast at twice the price? Shame it will most likely not be sold in Australia like all the other Google made chrome books. For us Aussies it's not news worth reading. Tell us when they make their products available outside their limited market. Okay, who's responsible for all this leaking? Will those who leaked get penalized? How much of the so-called leaks are actual leaks and which are sly hype marketing? LG intros two new Sandy Bridge notebooks with "crystalline finish"